Every company needs to re-invent it self regularly. Without guiding principles that are more than financially motivated, they will struggle with the transformation to capture new value. 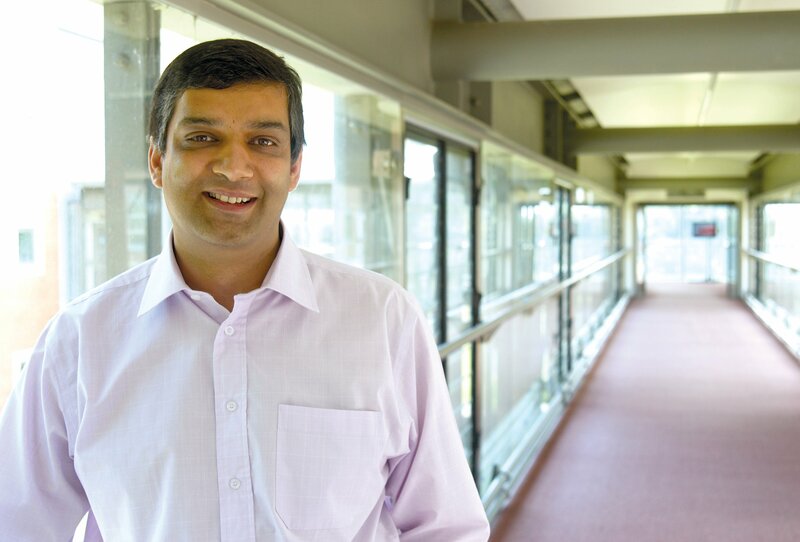 We took time to catch up with Rashik Parmar, the President of IBM’s Academy of Technology. From across the pond, he shares with us his greatest Done from 2011, his work process, and the future of review processes in large corporations. Rashik, tell us about yourself in three sentences. What do you do and why do you do it? What do you love about your job? I have worked for IBM for 28 years and am currently the President IBM Academy of Technology. My passion is applying technology to solve real world problems. In my current role, I lead over 5,000 people around the world and hopefully inspire a wide range of new technology solutions. Tell us about PBCs at IBM. What are they, what purpose do they serve? Where do you think the annual review process in large corporations is headed? Will they ever die out? We call them Personal Business Commitments. I think everyone needs a personal set of values and goals that are meaningful and motivational. Some of the goals need to align with the corporation – otherwise you need a new job! I think that corporations that live by a set of values and have clear goals that are social, economic and environmental will succeed. IBM is in a good place here. The Smarter Planet Agenda along with the values provide an enduring foundation. Every company needs to re-invent itself regularly. Without guiding principles that are more than financially motivated, they will struggle with the transformation to capture new value. Routine is important for a technical person such as yourself. Tell us, what’s the first thing that you do when you arrive at the office? Before you leave? I maintain various lists which track the next action against all the “open projects”. I skim through those and decide what I want to get done today. I pick a realistic set, so that I can overachieve. I then go through my mail (very quickly as per GTD) and see if anything else needs to be added to the list. Finally, I review my diary and get to work. You’ve been an active user of ours for a while now. How and why do you use iDoneThis? It is great to spend a few minutes to reflect on what I have achieved, and it is fantastic to have one place to document that. Then, on a quarterly basis, I review what I to have hoped to achieved and re-plan my long term goals. I am a strong believer/user of the GTD method from David Allen. What was your greatest accomplishment, or “done” if you will, from 2011? What are your goals for 2012 and how will you accomplish them? Tough question! For 2011, my greatest Done was defining 5 models for how technology can and is disrupting industries and using these as an innovation technique with clients. For 2012, I want to bring the vision for the Academy to life. To accomplish this, I’m developing a complex programme of work based on some specific themes including: Technology, Client Innovation, Affiliate Engagement, IBM Brand/Strategic Alignment, Geographic Alignment. Maybe we’ll visit you in the UK someday. Just in case, how do you take your coffee? I prefer black coffee – at most a couple of times a day. I also like “fruity teas” – the flavours help to calm the stresses of daily challenges.